Many parents who enjoy spending time canoeing want to share that enthusiasm with their children. While having children along on an expedition can add new challenges and potential risks, you can plan a trip that is safe and fun, whatever your experience level and the age of your kids. When talking about risk assessment on wilderness canoe trips, I often use driving as an analogy. Most parents who drive a car don’t consider it an irresponsible risk to drive with their child in a car seat. This is because the driving they are doing is well within their comfort zone. A parent who is as comfortable in class 2 whitewater as they are driving on the highway is not exposing their children to any more risk on the river than in the car. There are times to venture outside of your comfort zone; that is how we learn. A trip with young children is not that time. For some parents, this may mean starting with car camping and flatwater day trips. For others, it may mean a weekend canoe trip. And for some, it may mean a week-long trip with class 1 and 2 whitewater. This all depends on your level of comfort and confidence. In fact, in some ways, a 6-month-old may present fewer challenges than a 12-month-old who has recently become an expert crawler and explores new objects by putting them in their mouth! Young children are likely to need a dedicated adult to supervise them in the canoe – this means the bow paddler may not be paddling, so the stern paddler needs to be confident navigating the rapids solo. For younger children, an unintended swim should be considered outside the level of acceptable risk. You should be as confident paddling the rapid successfully as you are navigating a sidewalk without falling. At a certain point, children may be ready to paddle rapids in which a swim is a possibility. Rather than pinpointing an appropriate age, this decision should depend on the child’s confidence and competence swimming in moving water. Build towards this by swimming for fun in eddies and safe sections of current. Take a whitewater paddling course. Depending on the age of your kids, they may be able to participate too. Sign up for a guided trip or hire a guide. Some companies offer trips specifically for families, and many will send guides out on a private trip. A guided trip can build confidence and comfort towards an unguided trip in the future. Do a trip with friends. Whether it’s another family, or friends without kids, you can support each other on and off the water. Increasing the adult to child ratio can make a big difference. Bring lots of snacks, and keep them within reach in the boat. Include children in the “work” of the trip, as well as the play: give them a paddle, a small pack to carry, and their own flashlight. Limit travel time. 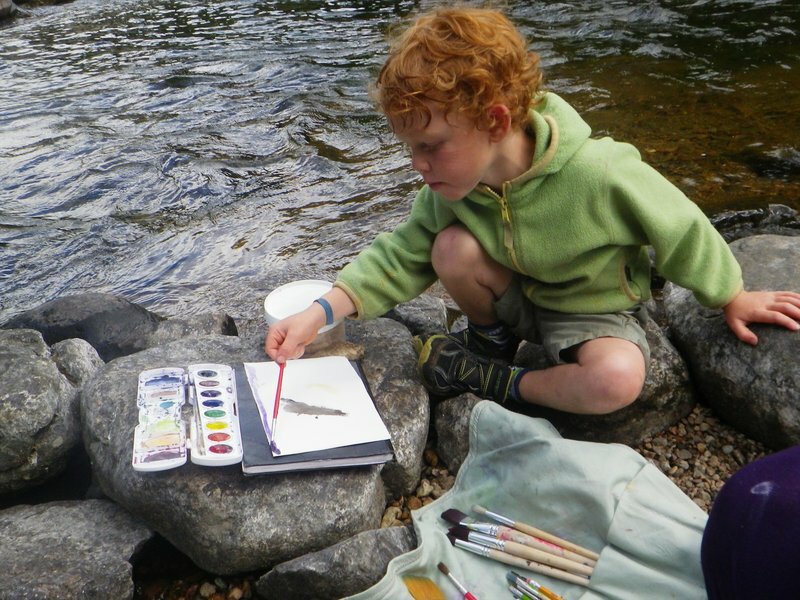 Around 4 hours on the water per day is plenty for younger children, and leaves lots of time to play at the campsite. To ensure short days, plan layover days into the trip, and identify alternative routes or exit points. Plan simple meals, and do as much prep in advance as possible. Spend less time cooking, and more time playing and exploring with your kids. Don’t ever, EVER attach kids to the boat, or to any kind of car seat or stroller in the boat. Don’t push limits with cold weather or cold water. Kids get cold much more easily than adults, and it can be hard to find good outdoors gear for small children. Don’t push children far outside their comfort zones. 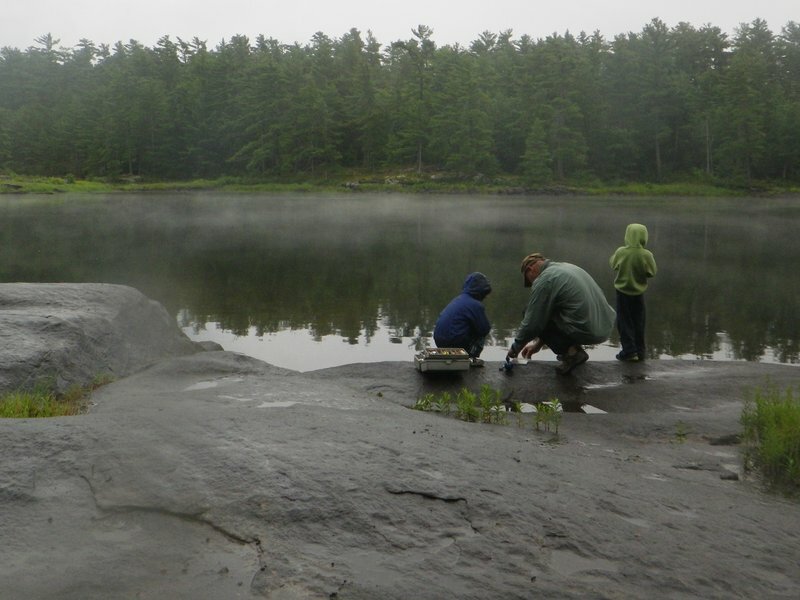 A gentle introduction is essential to inspiring in your kids a love of canoe tripping.